Originally established in Wandsworth town in 2007, the business was set up with customer service in mind. 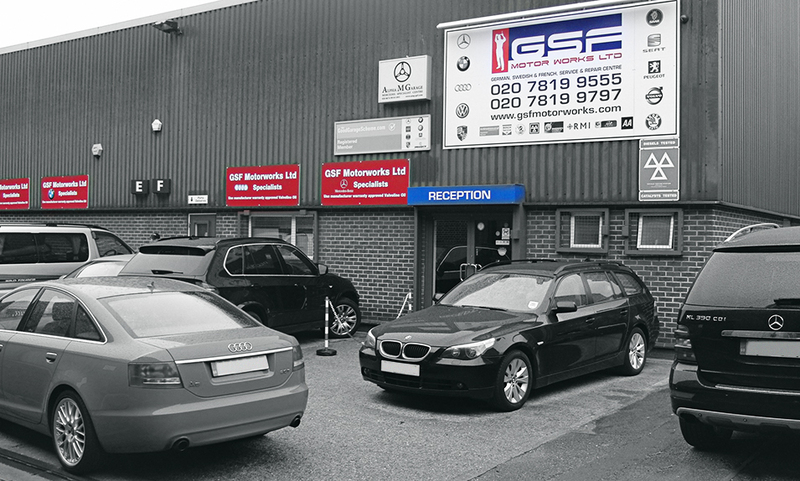 During the recessionary period GSF Motorworks wanted to reduce customers’ burden of high service costs and provide a trusted alternative to the main dealer. Since then, the business grew bigger and it was considered essential to move to its current premises in January 2011. The workshop is located south of Battersea Park, off Broughton Street and Queenstown Road. It is conveniently close to Chelsea, Wandsworth Town, Balham, Fulham Broadway and Elephant & Castle (about 10-15 minutes drive). The car servicing workshop features 7 main servicing bays, 1 auxiliary bay, one dedicated station to MOT Testing. Additionally, it has the capacity to carry out tyre fitting & balancing as well as laser guided 4 wheel alignment and steering geometry testing. The business continuously invests in new specialised tools and diagnostics equipment and is currently fully equipped to address all servicing requirements for all models of Audi, Volkswagen (Seat & Skoda), Mercedes (Smart), BMW (Bentley, Mini), Jaguar, Land & Range Rover. As the garage is geared up to deliver the highest levels of workmanship and customer service, we never neglect to valet the serviced cars at showroom standards and in many cases deliver the cars back to customers’ location.